At first glance these images may appear to show reckless abandon of a site of natural beauty. The opposite is true though. 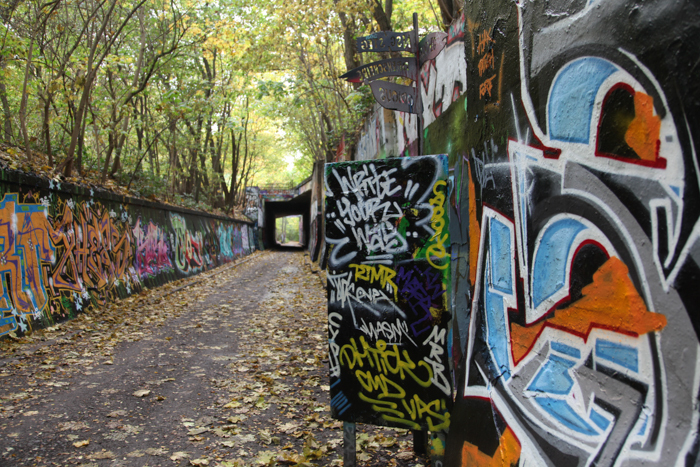 The Natur-Park Schöneberger Südgelände is actually an old abandoned Berlin railway station that has purposefully been left to allow nature to overtake it. Railway tracks now house a wide and wild variety of life. Südgelände was a switchyard and home to a Reichsbahn railway but now hosts many different species of wildlife. The Natur-Park Schöneberger Südgelände, Berlin, Germany Copyright: Laura Cook Photography. 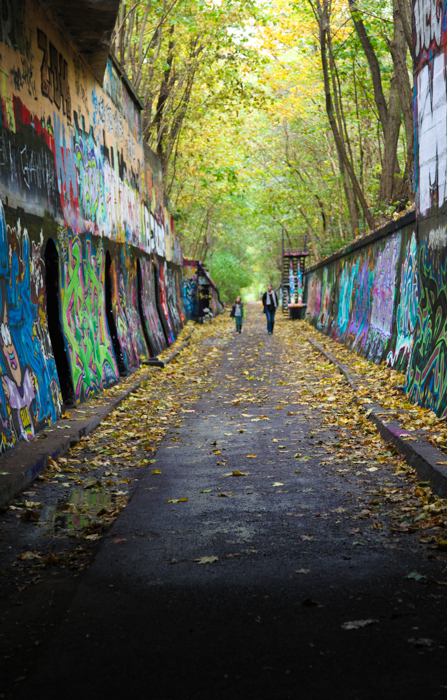 So where does the graffiti come into the picture? 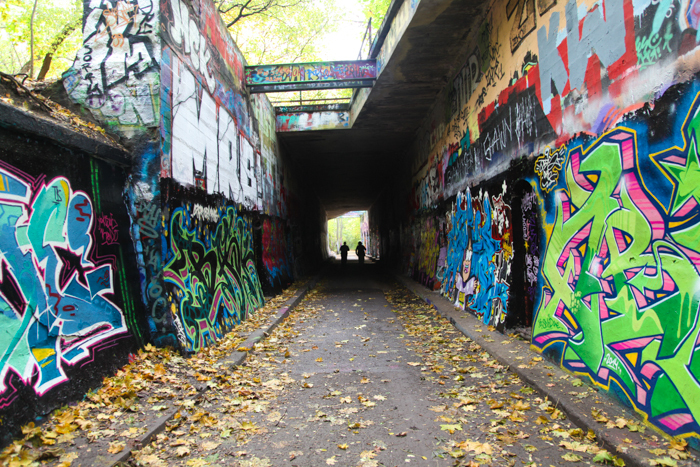 Südgelände is in an area that many young Berliners use for street art and the park workers were concerned that graffiti artists would leave their mark in places that would be damaging to the wildlife setting up home in the park. 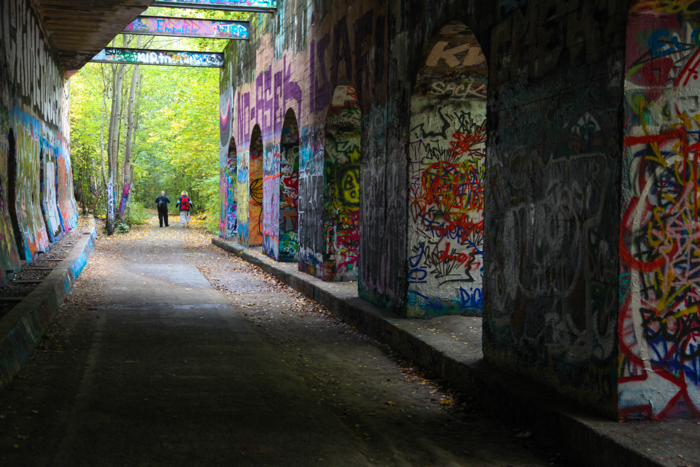 So a compromise was reached – graffiti artists may use the long wall under a bridge at one end of the park as often as they wish for their art as long as they leave the rest of the park so that nature may take its course. 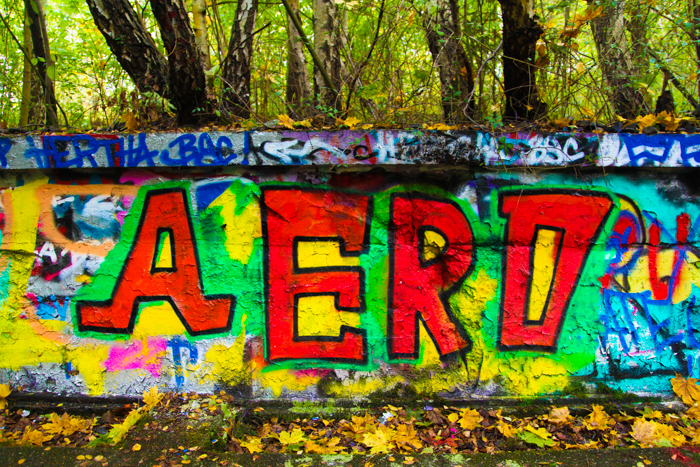 The result today is a colourful clash of graffiti and nature, but it works! Great pictures, thank you for sharing. Maybe you like my interpretaiton Nature & Art at a other place in Germany.